Allentown - Bethlehem Area Bartending School - The Mixology Wine Institute of Lehigh Valley Serves the Allentown and Bethlehem areas. My weeks at MWI gave me the chance to mix toxic water and food colorings together, garnished with the finest of reusable plastic fruit while learning that word associations are the key to success . . . of course nothing prepared me for the industry the way Hutch organized the dramatic role playing skits at the bar . . . then again if some guy orders a wine cooler at the bar you should be ready to break up a fight . . . during my weeks there, well one in particular, Jodie taught us that true love is when you hamster-sit for the significant other, but are forced to pound 151 to calm your nerves, afraid you’ll kill the hamster while it’s in you care. 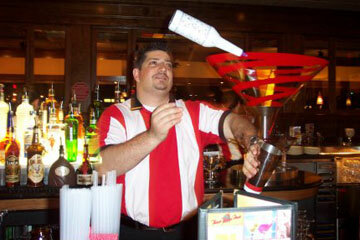 "The instructors at the Institute gave me the confidence and know-how to succeed in the bartending world. The job placement team was so helpful assisting me in getting a job at TGI Friday’s (www.fridays.com) shortly after graduation. 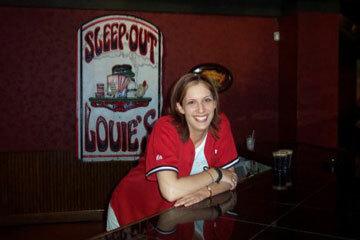 Because I'm an MWI graduate, I know there is always a professional team ready to assist me in the bartending industry." As my heart rate continues to drop after the speed test, I’m almost sad to leave. My experience here has been great, from a fun energetic instructor to helpful classmates. I learned drinks and such, but more importantly how to retain the information probably forever (let’s hope). As much as I was told this class would not help me, compared to training from scratch on the job, I can’t imagine how I could make ONE tip at my current job (www.applebees.com) without this kind of intense training. Thanks MWI!